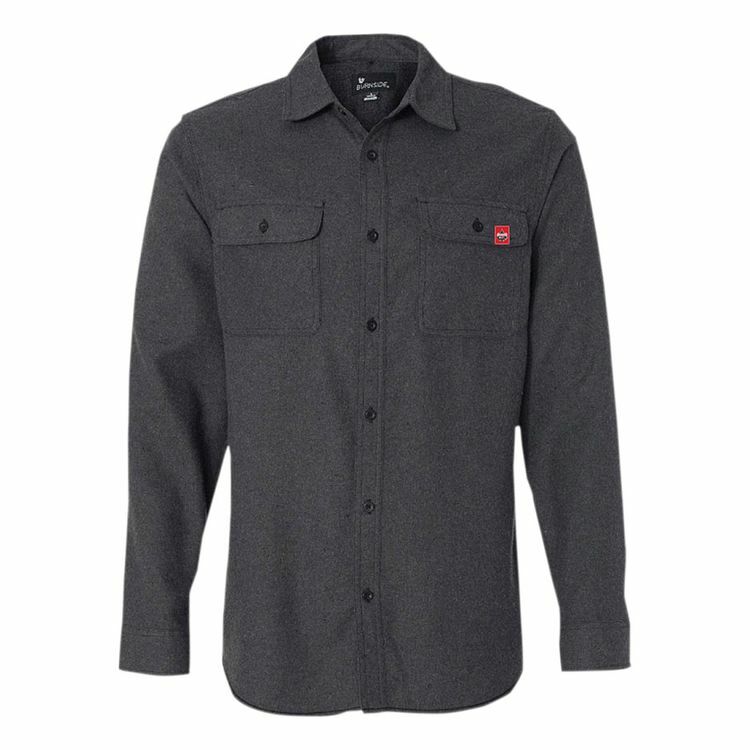 This solid gray Burnside long-sleeve flannel runs true to size and is a soft cotton/polyester blend with a red Klock Werks logo tag sewn on the chest pocket. There is ample room for a full range of motion, meaning you won't be dealing with fit that's too tight in the shoulders when you reach for the handlebars. Look good, it's warm. Make sure to order a size up because it is a trim fit.